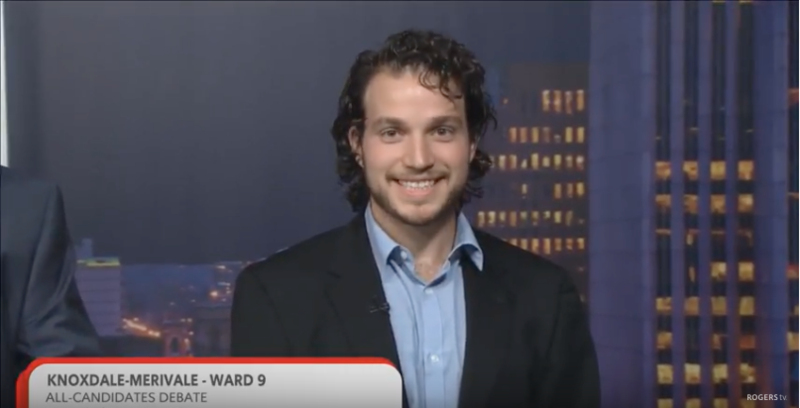 Friday, September 14th, 2018, I was invited by Rogers TV to participate in The Local Campaign – Ward 9 – Knoxdale-Mervale debate with the four other candidates seeking election to represent the residents of Knoxdale-Merivale as City Councillor. This was my first ever debate! You may have noticed how nervous I was in my opening statement. The feeling of the bright lights, the camera point right at your face and the timer counting down the seconds was intimidating. As the old saying goes, “It’s Not How You Start, It’s How You Finish”. I am proud of myself, for how I answered Mark Sutcliffe’s questions, how I remained focused on the interests of the community first and the message I conveyed in my closing statement. There will be another debate on Sunday, September 30th at the Tanglewood Community Centre hosted by the Knoxdale-Merivale Council. Looking forward to meeting, listening and talking to more residents of the Knoxdale-Merivale ward. I also welcome the platform to discuss and debate with the other fellow candidates about the issues that our residents face in their day to day lives. Below is a link to the Rogers TV debate on YouTube and the debate will also be televised again on September 27th, 2018 at 6:00 PM on Rogers TV channel 22. Please email or text me about any questions you have about the questions and answers that I or any of the candidates responded to. This is just the start..
Update: Traffic Calming Measures – Are the funds being spent?